We’ve been proud to call the home comfort center on Viewfield in Esquimalt our home base for the past thirty years, but with only 1200 sq. ft. and a team that keeps expanding to meet the needs of the renovation market in Victoria, we’ve simply outgrown this space and realized we needed something new. We looked at quite a few spots throughout the region to find our new home. Downtown Victoria has gorgeous office spaces, but lacked the parking we need for the team as well as our customers. Langford offers great value and plenty of room, but since we service all of the communities of Greater Victoria, we wanted something a bit more central. 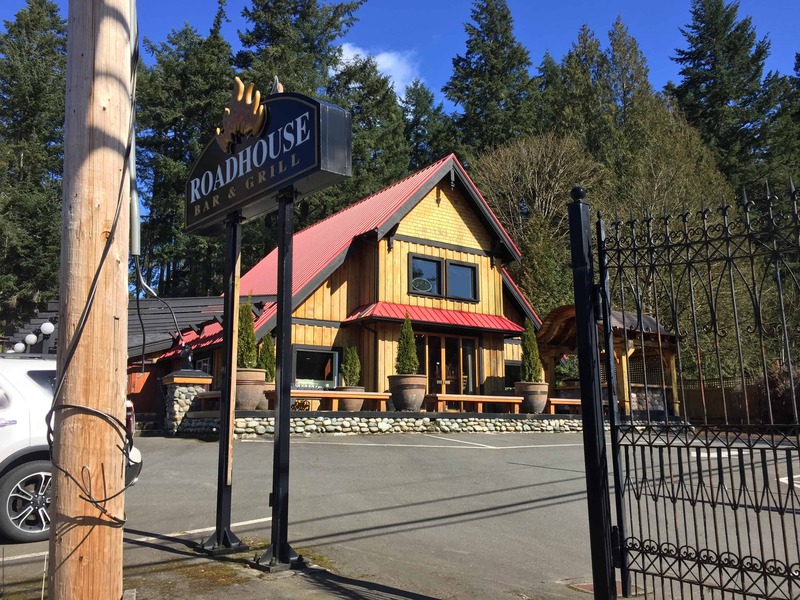 Finally, in March of 2017, we closed a deal on the Ranch at 5285 West Saanich Road Victoria, BC (where Prospect Lake Road meets West Saanich). It ticked all of our must-have boxes, and with a bit of work, we knew this could be the right place for the next few decades. When it comes to real estate in Victoria, you’re usually faced with a tough choice: choose the perfect location and fix up the building to suit your needs, or accept your dream home regardless of its location. A flawless home in the ideal location is a bit of a unicorn. There were many things we loved about the Ranch, but after years of neglect – the building has been empty for the past four years – it was obvious that changes were needed to make this the right space for our team. We evicted the rats and racoons, rolled up our sleeves, and started the renovation process. Like all renovations, we started this project with a plan. 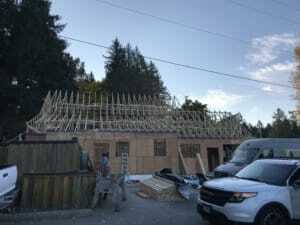 Our goal was to maintain the recognizable profile the community was already comfortable with, while incorporating advanced building techniques to help us be more energy efficient. We entered the details into our project planner, BuilderTrend, and developed a strategy to transform this space. 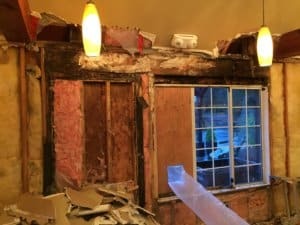 When renovating in Victoria, there’s a chance you’ll find a surprise or two during the process. 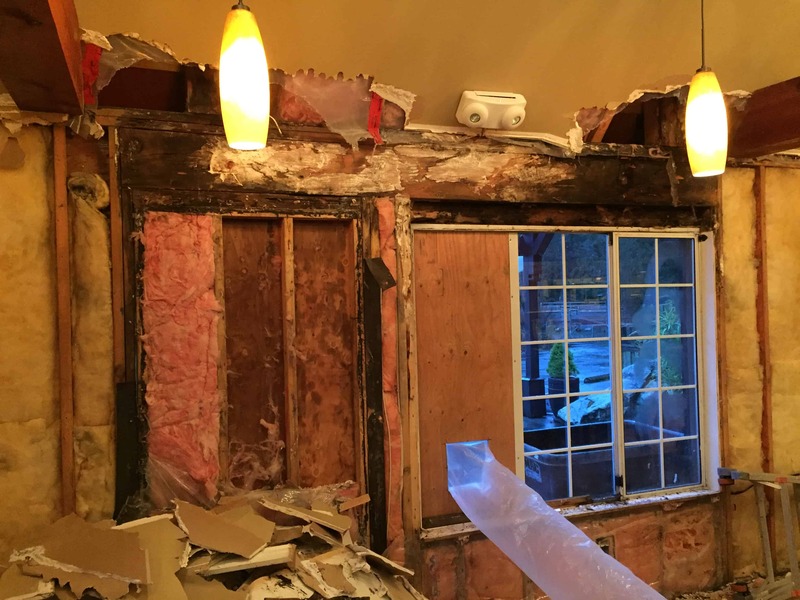 We are experts in the Victoria renovation market, but we’re still surprised with what’s hidden behind the drywall. 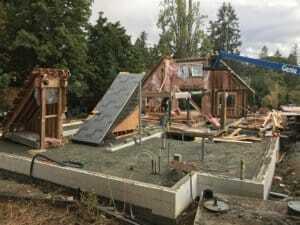 We’ve seen DIY electrical that’s one surge away from a sparky mishap; mystery pipes that have no beginning nor end; and hidden oil tanks threatening to leach their contents into the garden. Due to the years of neglect, multiple renovations, and outdated approaches, we soon determined that it was smarter to tear down the old structure and rebuild on the previous footprint. Energy efficiency is an important design consideration for renovations and new construction in Victoria, and we’ve planned our new building with this in mind. We’ve upgraded the existing heating system, insulated the concrete slab and walls, interior and exterior. We’ve installed energy-efficient windows and doors to minimize air changes and maximize our energy efficiency, and we’ve pre-planned for solar panels, so we can install them when the technology catches up to the installation best-practices for our region. One of the new features we’re looking forward to sharing is our interior design and product selection room, where we’ll be showcasing a great selection of products and styles. We’re a design-build company, and soon you’ll be able to stop in to see and feel the materials to get a solid idea of what it could look like in your space. 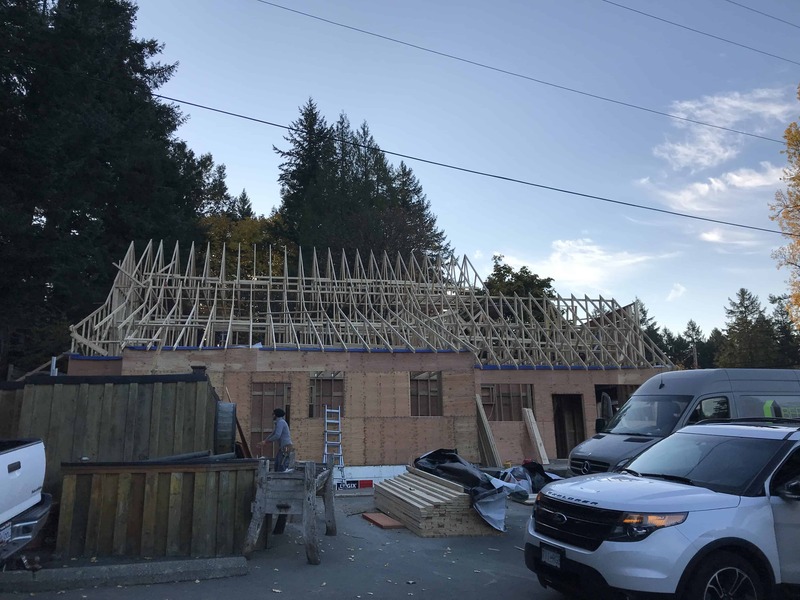 MAC Renovations has been an active part of the Greater Victoria community for thirty-seven years, and while we’ve moved to a new community, our commitment to helping our neighbours hasn’t changed. We’ve designed our new space to fit in perfectly with the residences and businesses nearby, and we’ll continue to donate our talent and financial support to the local causes we believe in. We support local sports teams, we’re members of the associations that keep your homes safe and secure, and we’re proud supporters of Habitat for Humanity and ReStore. We’ll be holding an open house to officially meet our new neighbours in late spring or early summer – once we’ve had a chance to get everyone moved in and adjusted to the new space. We’d love to hear your stories about the Ranch – did you have your first date here when it was the Roadhouse Bar and Grill, or maybe you worked in the kitchen when it was El Rancho? Whatever your connection with the Ranch’s interesting history, we’d love to hear about it. Visit our Facebook page and tell us your story.